Jason Motlagh has been reporting from Afghanistan for several months, first embedding with U.S. troops and more recently looking at the other side of the conflict -- the growing numbers of civilian casualties. Journalists Sarah Stuteville and Alex Stonehill spent six weeks crisscrossing Pakistan to report on the country's growing education crisis. 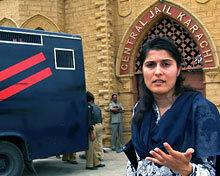 They spoke recently with iWitness from Karachi about their experience. After printing pro-American stories, a Pakistani publisher receives death threats from the Taliban. Inside an Islamic school in Karachi. Tribal Pakistan: Who's in Control? An interactive map shows the new faces of the Taliban. "I am 29 years old and feel like my eyes have been opened to a reality which we cannot ignore, we must stand up and fight, for the sake of the millions of children who have no choice and no hope. I cried and could not sleep last night thinking of the children and the responsibility that has fallen on the shoulders of each person who watched this documentary." David Montero investigates the life and death of a journalist, and a friend. The Pakistani reporter told the inside story of the Taliban's rise in Swat Valley and the Army's failures in the region. 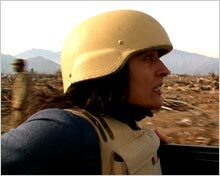 Correspondents Sharmeen Obaid-Chinoy and David Montero discuss the latest developments in Pakistan and the difficulties and dangers in reporting from the center of the conflict. Pakistan: This Is Your Wife!